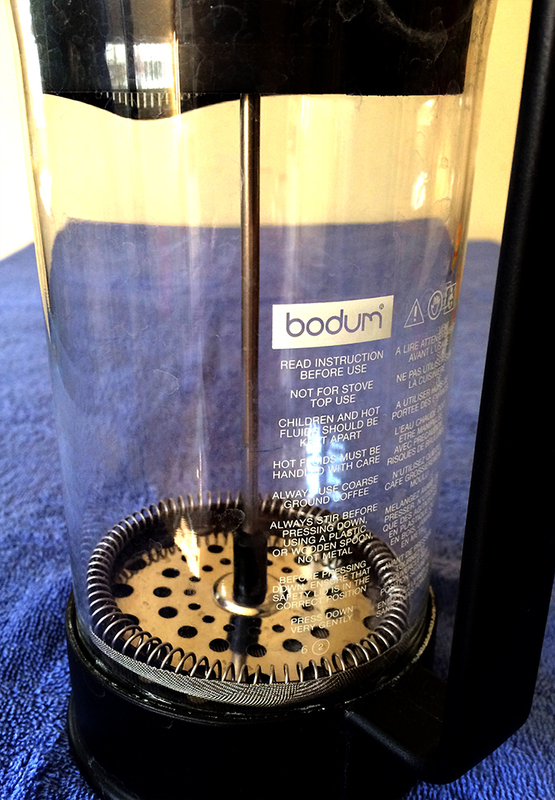 My French press coffee maker, by Bodum, could use some proximity thinking. More specifically, it has no fill level marks to help me add water to the same place every time, as you can see from the picture. 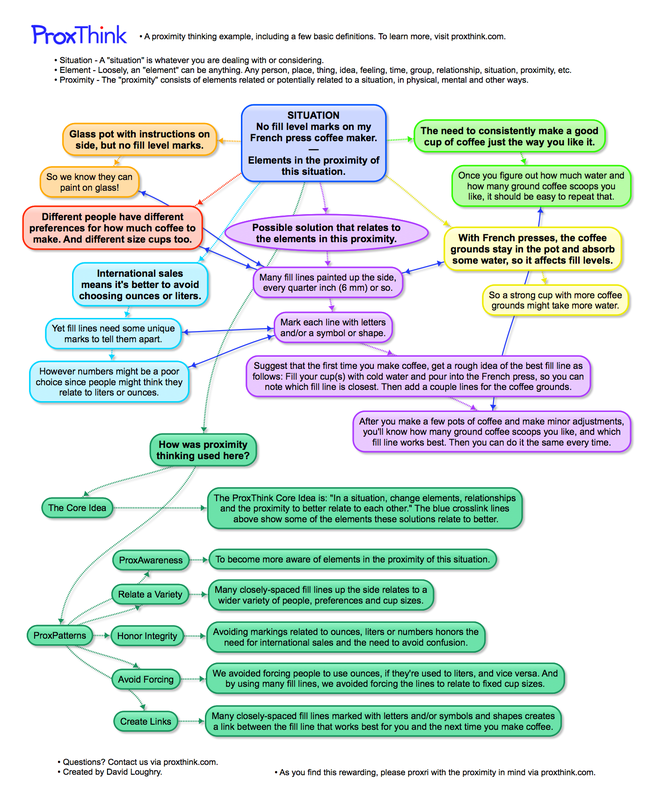 The mind map below should be pretty self-explanatory. Click the image below to open it full-size. Once open, you can zoom it even larger. ← What kinds of cars might be good for variety people?